Chemical pesticides are the only products deliberately designed to be toxic, and to be released in the environment. Unlike a fly swatter (also a pest-control device), chemical pesticides usually affect many species, including unintended targets. Typically only a miniscule fraction of the chemical reaches the intended target, and far more may reach unintended targets. In a systematic review by the Ontario College of Family Physicians, many common pesticides were linked to cancers in humans  (1); a more recent review by the Ontario College of Family Physicians  (2) did not re-examine cancer, but found greater cause for concern otherwise. The lists above  are based on data from the US Food and Drug Administration , after the food was prepared for eating, such as typical washing or peeling. Our list includes fruits and vegetables with the highest frequencies and residues of pesticides, as assessed by the US Environmental Working Group,  (3), with an overlay of the toxicity of the pesticides, as analyzed by the Consumers Union (4). A large 2014 study  concluded that organic foods contain higher levels of nutrients such as antioxidants, less pesticides, and less of the toxic metal cadmium in grains (6). Pesticides used in industrial agriculture can contaminate foods and the environment. Many of these chemicals promote cancer  (and other chronic diseases), through a range of mechanisms , including inflammation and hormone (endocrine) disruption (7). Farm workers  and those living close to farms that are sprayed with these pesticides have the most to gain from foregoing pesticides in the fields. Farm workers have higher risks of cancers, including leukemia, non-Hodgkin lymphoma, multiple myeloma, and soft tissue sarcoma, as well as cancers of the skin, lip, stomach, brain, and prostate (8). In an Ontario study, women farm workers  were almost three times more likely to develop breast cancer than non-farm workers (9). Previous work on a farm increased the odds of developing breast cancer with subsequent workplace exposures (10). Ongoing research continues to show higher rates of multiple myeloma (11) and non-Hodgkin’s lymphoma (12) with multiple pesticide exposures. Pre-conception maternal or paternal exposure to pesticides increases the chance of childhood leukemia (13,14). Choosing organic means that you are avoiding genetically modified foods , with foreign proteins such as insecticide chemicals grown within the plant, and remnants of high doses of herbicides. Corn, canola, soy and white sugar beet are the most common GM crops. 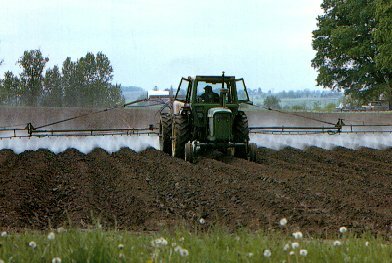 Despite unresolved scientific questions and diverse serious concerns, herbicide-resistant alfalfa (the first insect-pollinated, perennial GMO, that will quickly spread genetic contamination), a non-browning apple (also with genes that will not be contained), and fast-growing salmon (the first commercialized GM animal) are in the lineup for approvals and rollout, as reported by the Canadian Biotechnology Action Network  (CBAN). The pests are getting stronger. An original selling point for GMOs was that glyphosate could replace phenoxy herbicides for use on cereals such as corn. Glyphosate was presumed to be relatively non-toxic, while phenoxy herbicides such as 2,4-D had gained notoriety for dioxin contamination (typified by Agent Orange), and association with various harms including cancer (25). According to CBAN, an escalating biological arms race, seed companies are now seeking approvals to sell GMOs that produce multiple microbial insecticides, and that are resistant to both glyphosate and phenoxy herbicides such as 2,4-D . The only peer-reviewed long-term (2 year) animal feeding study  of GMO corn and/or Roundup reported increased tumours and organ damage related to the products (27). A previous Monsanto employee then joined the Food and Chemical Toxicology editorial board, and this study was subsequently retracted , for the unusual reason that the results were inconclusive (Science is a process of building upon others’ results and is seldom conclusive; moreover, efforts are being made to ensure that equivocal and negative studies are published, to reduce bias in the body of literature). An enormous backlash among the scientific community ensued, with letters signed by thousands of scientists (e.g. here  and here ), including a protest letter from a past editor  of the journal. Hundreds of scientists also dispute  industry claims that GMO foods are “known” to be safe. Now the study has been republished, along with all of the raw data , a call for the pesticide companies to similarly publish their data, and a history and analysis of “conflicts of interests, confidentiality and censorship in health risk assessment ” (28,29). 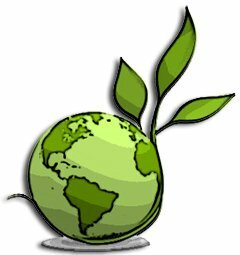 Use least-toxic practices yourself such as hand-pulling weeds, setting your mower high, over-seeding, infrequent watering, and landscaping with alternative groundcovers and less grass (see links  for organic landscaping tips). Check labels on gardening products, ask questions, talk to your friends, neighbours and politicians, write a letter to politicians  and your local newspaper . 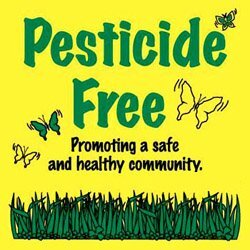 Prevent Cancer Now’s submissions regarding pesticides can be found here . Ask your election candidates  if they support least-toxic pest control in your riding or ward. No testing is done on endocrine disruption – one mechanism behind many pesticides ’ chronic toxicities. Many pesticides disrupt the endocrine, or hormone systems (33). Hormones orchestrate every step of development from gestation through the entire lifespan. They act at extremely low concentrations in the body, and endocrine disrupting chemicals can have different, even opposite effects at higher doses (34). Alterations to hormone levels during critical windows of development can cause permanent changes to children’s lives, affecting their intelligence and behaviour, and making them more susceptible to infections, asthma, obesity, diabetes, reproductive failure, cardiovascular disease and cancers. One 2011 study reviewed endocrine effects of 91 pesticides  (33). A second study confirmed previously known androgen effects of some pesticides (35), while among previously untested pesticides  nine were anti-androgenic and seven were androgenic. The US Environmental Protection Agency  and the European Union are screening pesticides for effects related to actions of estrogen, androgen, thyroid and other hormones. A 2012 review  of 845 scientific papers showed evidence that endocrine-disrupting chemicals have adverse health impacts at very low doses in animals and humans (36). Indeed, the American Chemical Society  has acknowledged in a Position Statement that omitting low dose testing undermines the validity of regulatory toxicological testing (37). Only active ingredients are tested. Additives or “formulants” are used in pesticide products to slow metabolism of the active ingredient, and to improve spreading and absorption of the active ingredient. Additives can do the same when pesticides contact humans. A 2014 study  found that 8 of 9 common commercial products tested were hundreds of times more toxic to human cells than just the pesticide active ingredient without formulants (38).